Nintendo has slashed its profit forecast for the 2011-2012 fiscal year by a dramatic 82 percent, blaming a strong yen, weak sales and the big 3DS price cut. 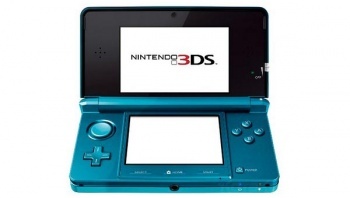 If you think the price cut of the 3DS announced earlier today was a big drop, wait until you get a load of this. Nintendo has updated its financial forecast for the current fiscal year, reducing its estimated net income from Â¥110 billion ($1.41 billion) to Â¥20 billion ($257 million). That's a decline of 82 percent, which makes it not so much a "reduction" as a St. Valentine's Day Massacre. "The earnings forecast has been modified to reflect the trends of stronger-than-expected yen appreciation and sales performance, the decided price reduction of the Nintendo 3DS hardware and the sales outlook for the holiday season," Nintendo noted in the update. "Exchange rate assumptions have been revised from 83 yen to 80 yen per U.S. dollar, and from 120 yen to 115 yen per euro." Compounding the troubles at the House That Mario Built is the fact that its share price remains stuck in the mud after tumbling to a five-year low following the announcement of the Wii U. An 82 percent slide in expected profits for the year probably isn't going to do much turn that frown upside down. At this point, anything less than an all-out Grand Salami from the Wii U is going to be bad news indeed for Nintendo.